Last year, hundreds of workers and thousands of supporters took part in Black Friday demonstrations in front of Wal-Mart stores across the country. Federal officials are ready to bring a case against Wal-Mart for allegedly retaliating against workers who staged Black Friday protests last year. The National Labor Relations Board, which protects the rights of workers who organize for better working conditions, said in a statement Monday that its general counsel had found merit in several allegations against Wal-Mart. The agency said it would file a complaint if Wal-Mart and the parties could not reach a settlement. Wal-Mart, in statements on national TV and to employees at Wal-Mart (WMT) stores in California and Texas, illegally threatened "reprisal" for workers who protested on November 22, 2012, the labor board said. The NLRB also said Wal-Mart stores in more than a dozen states "unlawfully threatened, disciplined, and/or terminated employees" who participated in legal strikes and protests. At the same time, the NLRB said it did not find merit in allegations that Wal-Mart had retaliated by changing work schedules, or that it interfered with workers' right to strike by telling non-employee protesters to move from Wal-Mart property. 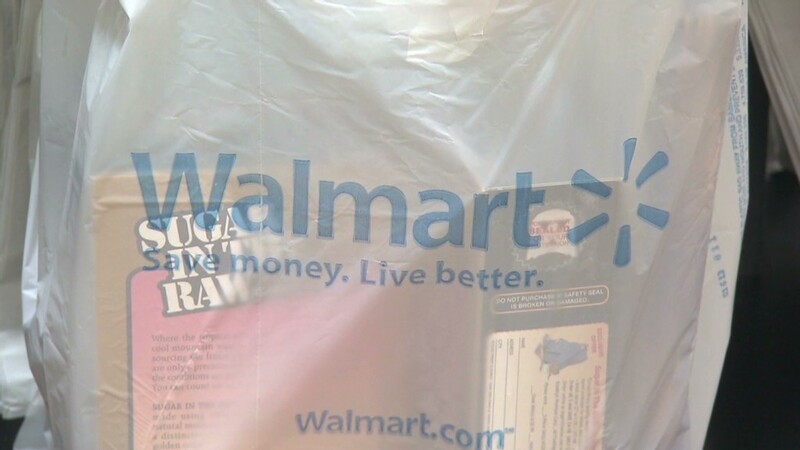 Wal-Mart spokesperson Brooke Buchanan said the company will pursue its "options to defend" itself, noting that it takes labor laws very seriously. "We believe our actions were legal and justified," Buchanan said. The finding stems from claims filed a year ago related to Black Friday strikes and protests by hundreds of workers across the country. 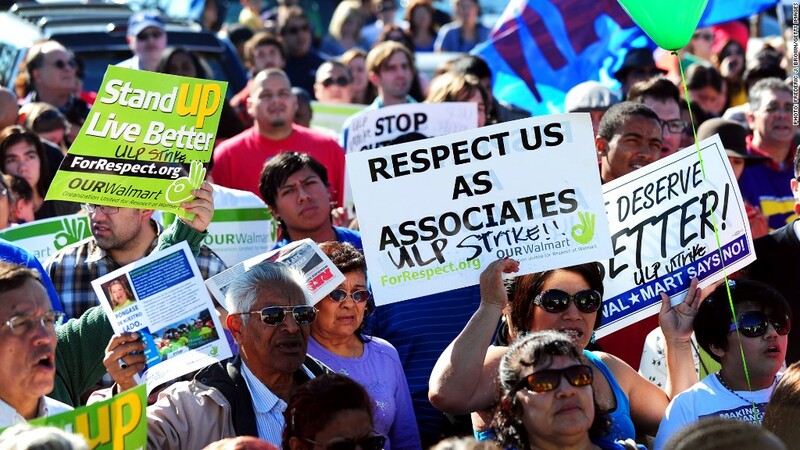 An advocate for Wal-Mart workers applauded the NLRB's finding. "The board's decision confirms what Walmart workers have long known -- the company is illegally trying to silence employees who speak out for better jobs," said Sarita Gupta, executive director of Jobs With Justice and American Rights at Work. Worker protests continue at Wal-Mart. Earlier this month, five workers seeking higher wages were arrested while demonstrating in Los Angeles.